Garage Storage Solutions: Is That a Car Parked in Your Sewing Room? If your lifestyle is quickly overtaking your livable floor space, you might be thinking of converting an attic or basement into an office, extra sleeping quarters or a craft room. There’s a better option if you’re willing to embrace creative thinking and innovative home improvement solutions. Move over Bentley, here comes Bernina! You heard that right – with a little creativity you can transform your garage into a beautiful, multi-functional space that protects your car from the environment and organizes your quilting supplies and equipment. If you’re like most long-arm quilting enthusiasts, the thought of storing bolts of fabric, quilting frames and the Bernina in a “dirty old garage” could trigger bouts of hyperventilation. And, we would agree with you. Instead of the typical garage with empty oil cans, piles of orange shops rags in every corner and a mishmash of associated auto parts littering every sagging shelf, imagine a freshly painted room with a sparkling clean floor and a mini-kitchen flanked by floor-to-ceiling cabinets and pull-out drawers with hand-painted hardware. Is it easier to imagine moving your quilting room in the detached garage with this image in your mind? Reinventing the way you see your garage opens the door to a vast world of opportunities. So, whether you envision a divided space with designated auto storage and a separate area for quilting activities or you want to carve out a personal reading nook, the possibilities are almost endless. 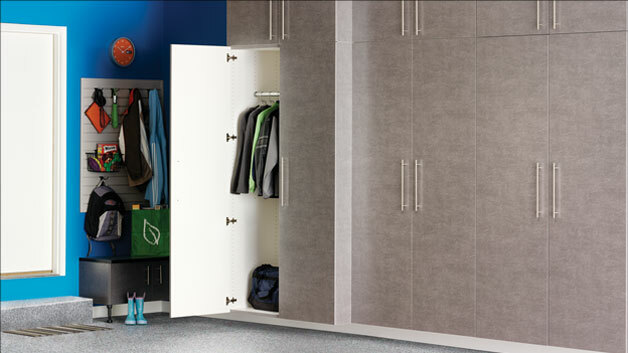 By using garage storage cabinets or wall storage solutions you can keep your items separated, safe and secure. Long-arm quilters might dream about retractable ceiling mounted frames and custom bins for varied batt sizes. Homeowners looking for home office solutions may get more excited about an office-in-a-box setup that uses less space without compromising convenience and storage options. Thinking about adding extra sleeping quarters? Dual-functioning "indoor" rooms often incorporate Murphy beds and built-in fold-a-way tables that “disappear” when not in use. Using similar concepts, our room planners help you explore options for built-ins and furnishings for your transformation project. Efficiency is our motto. Whether your vision includes finally having an organized craft station or making room for visitors, our professional design team promises to use every square inch of your space for convenience and function. 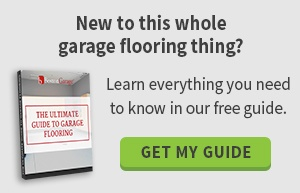 Our innovative garage flooring products come in dozens of colors, textures and patterns to fit your decorative preference. 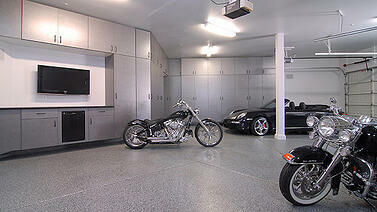 We work exclusively with professional designers to develop a plan tailored to your space and goal garage storage needs. We follow best practices: highest quality products, superior customer service and highly skilled garage installation partners and vendors. What are you waiting for? It's time to imagine your garage without the orange shop rags in the corner.